Leighton Ironcraft is one of the finest architectural metalworks company in London. Leighton Ironcraft provides architectural metalwork in London. We offer a vast range of products, from gates and railings to balustrades and fireplaces. Our service is professional and our installations are fast and clean. Each member of our team is a highly trained and skilled metalworker. We employ only the best. Production and installation are a key factor at our company. Our aim is for the client to have piece of mind. The product will be made with the highest standards of quality possible, per specifications and the installation will be fast and clean. At Leighton Ironcraft we have a vast range of products for you to choose from. Gates, railings, balustrades, handrails, juliet balconies, lightwell grills, terrace railings, staircases and more. After the job is done, we don’t just say goodbye. We offer advice and maintenance to help you keep the product like brand new for a long time. Leighton Ironcraft supplies a variety of metal products. We pride ourselves with our work and the products we manufacture have a very high quality standard. 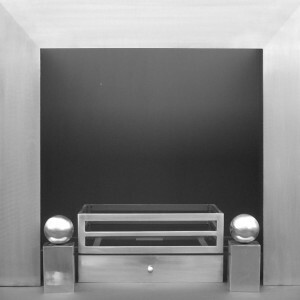 as such our company is one of the best and highest rated metalwork companies in London. Our installation process is clean and fast and our prices are very competitive. Thank you for choosing us. If you require a set of gates, railings or both, we can help. We can build a modern style set or a beautiful and classic style set. Whichever you choose we are here to help you style your home. We build very beautiful balustrades and handrails. High quality and very stylish for outdoor and indoor use. Please take a look at our portfolio and tell us what you like. Our staircases are made from the highest quality metal, they are very stylish and fit perfectly into your plans whether they are for outdoor use or indoor. Please take a look at our portfolio and let us know what you like. Leighton Ironcraft also has a range of register grates, modern steel sleeps, fire baskets and fire dogs. If you are in need of them, we can help. Just take a look at our fireplaces page, choose what you need and like and contact us. Made with love by the good people at yell.com. Leighton Ironcraft Limited is a family run business established in 1984. 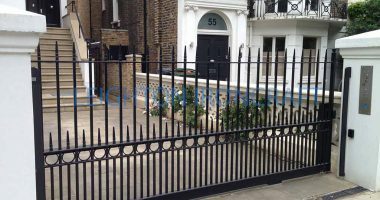 We specialize in metalwork and wrought iron gates, railings and staircases.I started this business after serving an apprenticeship as a blacksmith in Fulham London. My company was soon sought after by local architects, developers and designers for my designs and knowledge of all aspects of architectural ironwork. On this site, you will find a selection of varies designs previously supplied to our customers on this site. If you do not see the design you require we will be pleased to quote for your specific requirements, just provide us with a photograph or simple drawing. It is my aim and the aim of my staff to produce products made to the highest of standards, to help you on the choosing of the most suitable design for your home, whether it be a set of gates and railings or one of our fireplaces. No job to small. Over the years, Leighton Ironcraft has been working alongside architects and clients to produce the very best products and services. We are very proud that we helped people make their dream home become a reality and they helped us back with some kind words. Here is what they say. Leighton Ironcraft did a marvellous job of my outside house railings. Mark designed and constructed the railing and even stored it over the winter for me. Jason installed it today, and did a fantastic final paint job and was very professional and reassuring. We were recommended Leighton Ironcraft by a friend as we needed a new front gate matched to our existing front railings. From start to finish they were brilliant, highly professional, efficient and most importantly the gate they made is of the highest quality and matches exactly our railings. i would highly recommend this company to anyone as we are very pleased with the results. Faultless service from start to finish. Really helpful and easy to work with. High quality workmanship. Really ‘user friendly’ fitters. 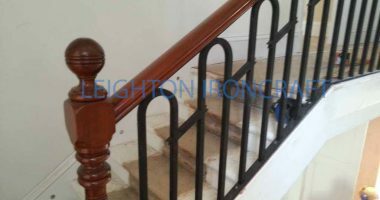 We used Leighton Ironcraft to make a handrail for our 1840’s house . The result is excellent, an elegant design, very well made, it looks as though it has been in place from Day 1. Leighton Ironcraft were charming and speedy and a pleasure to deal. The price was also good.